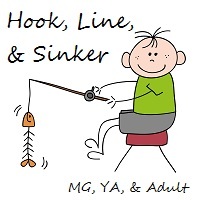 As those of you who followed the Hook, Line & Sinker contest will know, Kat, Summer and I had a secret 4th agent to help us when it came to making some of the calls in rounds 1 and 2 of the contest. 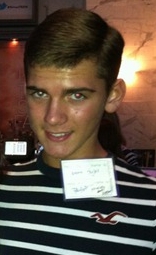 What you didn't know until now is that our secret 4th judge was none other than amazing publishing intern, Brent Taylor! Brent is a senior in high school, a wizard with words, an ex-gymnast, and probably one of the coolest people you will ever meet on twitter. Check out his blog and follow him on twitter. SERIOUSLY. You're an intern in publishing, along with a few other various titles - for those of us staring at you in awe, can you say a little bit about what that's like and what's involved? I've been totally transformed by internships in publishing. I've learned so much about editing, pitching, and storytelling that I've been able to apply to my own writing. It's something that I get very sick of at times (especially during my senior year--I have so many other distractions) but at the end of the day really love. It takes me two to three weeks to read an average-sized novel. My email inbox, which used to be impeccably organized and maintained, now is a hazard zone. But the fabulous writers (like, AHEM, Kat Ellis) make all the digging and reading and analyzing worthwhile. I love seeing authors jump from A to B to Published. As our secret fourth judge in Hook, Line & Sinker, you made some tough calls on entries the rest of us were flailing over. What was that like? HARD. So many talented writers, so few spots. Quite a few were hard to decide on because of something I see very often in the slushpile: poor concept, great writing, and vice versa. Did you have any favorites from the contest? I really quite like CHRONICITY's concept. Did anyone request that one? I definitely would have. I'm a sucker for time travel and the early 20th century. What do you think makes a truly stellar pitch? Something that is clear and concise and truly places the reader in the middle of the story. A few months ago on Twitter someone I really like said something along the lines of, "Your query should read like prose. Re-read and write multiple times until you nail it." You should definitely put your query through a grueling revision process, yes. But I don't necessarily think that queries should read like prose. This is something that I struggle with in my essays for school. I spend all day sitting with math and science prodigies that can discuss character and plot to some degree, but when it comes to the actual writing and style, they can't articulate to you the difference between Fitzgerald and Twain and Hemingway. I get very pretentious (FORGIVE ME) and I feel bored and then I try to write simple essays with Super Complex Sentences and No Adverbs and with Many Semi-Colons and Lyrical Prose. The words are good, but the essays lack in terms of content. I haven't learned to balance the two yet, or maybe the two can't be balanced in simple essays. I think the same applies to queries. You should show that you're a good writer, but don't compromise trying to illustrate your literary talent for adequately describing your story. What advice would you give to writers who are new to querying / contests? Try very hard. Give it everything you've got. But don't overwork and exhaust yourself very early on, because this is a long process, and stamina is important if you're going to keep trying. HUGE thanks to Brent for being our secret fourth judge in the contest, answering our questions, and just being all around awesome!